Are security systems worth the investment? Having a quality security system installed will reap a lot of benefits for your business or for you and your family. You may think twice about making the initial investment, but it’s important to know you will more than likely save money in the long run. Especially when there are high value items present, a smart security system will be very beneficial. 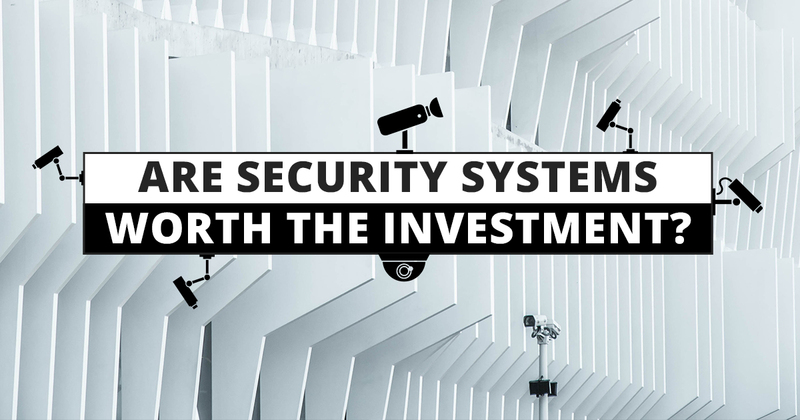 From CCTV cameras to intercom systems in Sydney, here are the reasons why security systems are very much worth the investment. We all know what it’s like to lose valuable items. When certain goods hold sentimental, priceless value and they’re taken from you, like precious family jewellery or mobile devices that doubled as photo albums, it can be heartbreaking. If a burglar notices a CCTV camera system in place or is confronted with a piercing alarm then they are likely to flee the scene. Surveillance systems are one of the best ways to catch the criminal in the act and likely prevent them from attacking again. You will also have a high chance of getting back some of your stolen items if you do catch the thief. Crime rates in NSW are at their lowest in 40 years and this is very much due to the increase in homes having security systems in place. 50% of burglars will leave the scene and not attempt to break in if they notice a security system is in place. You’ll also have that added peace of mind when you’re on holidays or just out for the day. Home and contents insurance can be expensive, but a security system can reduce this cost. Most insurance providers offer lower rates for homes that have a security system in place, as it’s far less likely anything will be stolen. You can set up your phone to alert you if there is a break in or an alarm has gone off at your home. You can then alert the police as well as view your home through live footage. This is a huge feature to have, and something that makes security systems very much worth the investment. A smoke alarm is something everyone should have in their home. If there are elderly people living on the premises, this is a must. Smoke alarms can also be connected to monitoring companies, so firefighters can still be dispatched to your home even when you’re not there. This can be hugely important also, especially in the case of elderly people living on the premises. If a fall or something similar is to occur, and nobody else is home, a third party monitoring company will capture this and dispatch emergency services to go and help. We at Red Handed Security provide security solutions for a range of sites and applications. For the best in security and alarm systems in Sydney, give us a call on 1300 13 40 33!